Playing games is one of those things that we love. It is one of our guilty pleasures and it is one of the best things that we can do to pass our time. However, to enjoy playing a game you would also need a really good game that can involve all your senses and present a sort of a challenge to us. 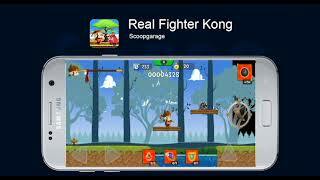 And if you are looking for some game of that kind then the Real Fighter Kong is definitely the game for you. This is one of the jungle adventure games that you can play as many times as you want.